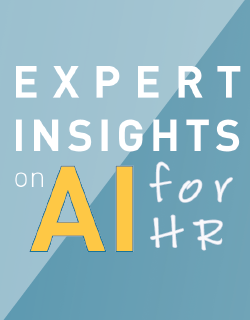 Thirteen experts share their views on how artificial intelligence is shaping the HR world. Artificial Intelligence is revolutionizing the game, yet companies are struggling to respond to the rapid pace of change and the effect on their employees. You can leverage artificial intelligence to truly understand how people are doing their jobs, what they care about, and what they are inspired by so you can work to improve their employee experience. Read what 13 leaders in the human resources industry have to say on how AI is shaping the future of the workforce. Fill out this brief form to learn more about AI for HR.